This week on The Edit, we spoke with Pacific Standard editorial assistant Jack Denton about his recent PSmag.com story "Hailu Mergia&apos;s Great Re-Appearing Act." The piece is about the life of a legendary Ethiopian musician who left his country and celebrity for the United States in the early 1980s and then made ends meet by driving a cab in Washington, D.C., for 30 years. Mergia was recently rediscovered by a record label and made his return to the music industry. 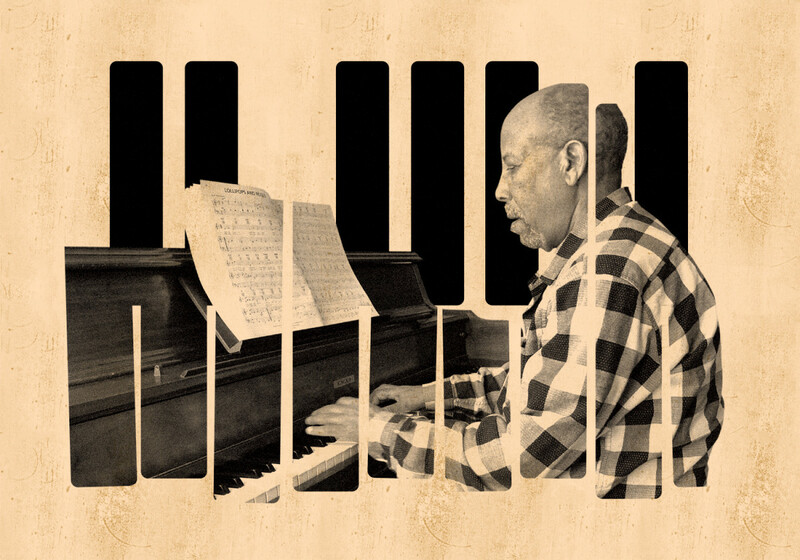 During this episode, Denton outlines a brief history of Ethiopian music, talks about what attracted him to this story in the first place, and describes the unique character of Hailu Mergia. You can listen to this episode of The Edit on iTunes, Spotify, or SoundCloud. 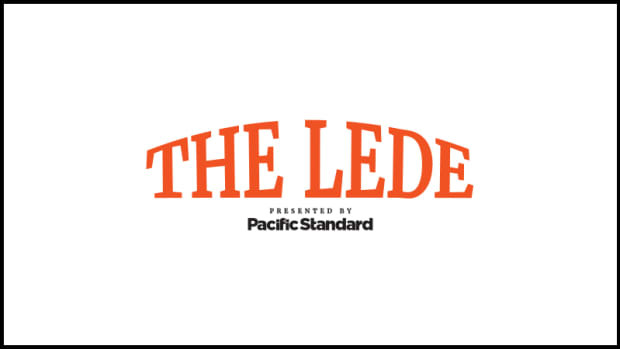 Coming Up: On our next episode we are speaking with Pacific Standard contributing writer Masoud Hayoun about immigration in the Trump era, a growing Vietnamese refugee crisis, and the geopolitical implications of the U.S. government enacting more isolationist polices. Premium members are now able to access two of our March/April 2018 print features well before the rest of the public. This week the two stories focus on the lesser-known political aspect of poetry from the American Midwest and what happens when your brother is the new face of the white nationalist movement. A Guide to the Hidden Political Poetry of the American Midwest: Celebrating three poets whose work is as trenchantly political as anything on an op-ed page: a poetry of labor, of representation, of hope. 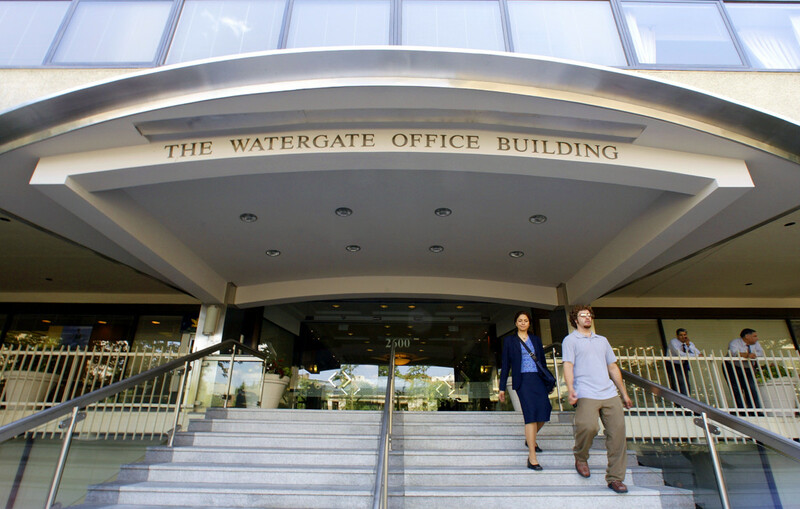 The Watergate complex in Washington, D.C., as seen on June 17th, 2002. Pacific Standard staff writer Francie Diep has opened a new PS bureau in the heart of Washington, D.C. Below, she takes you behind-the-scenes on the reasoning behind the move, and what she hopes to accomplish by moving closer to the levers of power in the U.S. I moved to Washington, D.C., a few weeks ago, to cover science policy for Pacific Standard. Over the past year, I&apos;d found myself writing more stories about the intersections of research, policy, and justice—like whether the Center for Disease Control and Prevention&apos;s anti-opioid mass media campaign is expected to work, or how proposed budget cuts to databases might hurt poor communities. I thought it was time to start working out of D.C., where I could more easily access the agencies and lawmakers that make these decisions, learn about policy changes when they happen, and ask questions. I&apos;m now based out of the Watergate building. (Yes, that one.) I&apos;m just a few train stops away from the Capitol Building, White House, and various other agencies. In the future, expect more stories from me about the fate of ongoing scientific research projects, especially those that study inequality in the U.S.; whether certain public-health initiatives are evidence-based; and efforts to increase diversity and reduce harassment in the sciences. Basically, from our new outpost in the capitol, I&apos;ll be seeking out overlooked stories that could potentially have lasting consequences in American science and health. The Free and Independent State of Scott: Like most counties in eastern Tennessee—where slavery was relatively economically unimportant—Scott County voted overwhelmingly against leaving the Union in 1861. When Tennessee joined the Confederacy anyway, Scott County doubled down and voted to secede from Tennessee and become its own state. Fittingly, the county had been named for General Winfield Scott, who was still leading the Union army at the start of the Civil War but retired soon after. Although its independence was never recognized by the state, Scott County didn’t formally rejoin Tennessee until 1986, when the county petitioned the state for re-admission. Absaroka: In 1939, the old boys of the Sheridan Rotary Club rallied around A.R. Swickard, a former professional baseball player, with a plan to stand up for the grassland ranches of the northern Wyoming and western South Dakota region by declaring for themselves a new state (to which southern Montana was later added). Already smarting from the Dust Bowl and the perceived indifference from state legislatures, the area was newly disaffected by its miniscule cut of New Deal aid. With a troll&apos;s winking sincerity, Swickard proclaimed himself governor and oversaw a Miss Absaroka beauty contest. Novelty license plates were created, and, after the King of Norway toured through the area, dubious claims were made of official recognition. Today, the namesake Absaroka State Takeover, a rockabilly car show complete with pin-up girls and hot rods, occurs annually in Sheridan. View the rest of Denton&apos;s rundown of the states that weren&apos;t, available exclusively for PS Premium members and in print as a sidebar to "In Search of a More Perfect Union." Allen Iverson #3 of the Eastern Conference All-Stars drives around Steve Francis #3 of the Western Conference All-Stars during the 2004 NBA All-Star Game on February 15th, 2004. Steve Francis Takes Control: When I first saw Steve Francis he was holding back tears. The year was 1999. Francis, fresh off of a hugely successful one-year stint at the University of Maryland, was drafted with the second overall pick by the Vancouver Grizzlies. To watch Steve Francis in that moment is to watch someone coming to terms with the limitations, fair or not, placed about him by outside forces. Vancouver had posted an 8–42 record the year prior (which puts the Grizzlies among the all-time bad teams); Francis wanted to play—if not for a contender, at least not for an athletic atrocity. The television cameras did Francis no favors: He can be seen in the backstage draft room tearing up, rolling his eyes in frustration, and generally looking like he&apos;d just been called on to serve in Vietnam. Francis was eventually traded to the Houston Rockets, where success-hungry fans instantly embraced him, and where he became, for a time, perhaps the most exciting player in the National Basketball League. But the entirety of Francis&apos; career, despite the three All-Star appearances and the custom shoe deals, tells a similar story: one of imposed limitations. There was his questionable trade to Orlando, his even more questionable trade to New York, and his eventual return to Houston—where he was assigned a bench role for reasons apparently beyond my comprehension. And then he was out of the league, with—if we&apos;re being honest—all of four good seasons to his name. It&apos;s this sense of unfulfilled promise that makes Francis&apos; essay in the Player&apos;s Tribune so worthwhile: Granted his own agency through words, Francis allows us to hear the story he wants to tell, not the one others have crafted around him. Through his writing, we learn that Francis spent his teenage years selling crack on a street corner in Washington, D.C.; and that he and teammate Yao Ming formed a charmingly affable duo both on and off the basketball court, and that the suicide of his stepfather a few years ago drove him to drink; and that he is, at his core, a man who never stopped being astonished at his own success. That&apos;s the real story of Steve Francis, outside forces be damned. Queer Eye Reboots Masculinity: Netflix&apos;s reboot of Queer Eye is the most important show of 2018. That is not something I expected to say about what is ostensibly a makeover show, but here I am, saying it. I didn&apos;t expect Queer Eye to be a show about so much more than taking a semi-tragic, often straight white male and encouraging him to dress better, eat better, and learn to actually listen to other people. I didn&apos;t expect the show to be more of a referendum on the idea of masculinity. I didn&apos;t expect it to get me thinking about what it means to be a man. But that&apos;s kind of the whole thing about Queer Eye, it&apos;s always giving you more than you would expect. The Fab Five (Jonathan, Karamo, Antoni, Tan, and Bobby) burst into these men&apos;s lives and do far more than give them new clothes and furniture. They show these often straight white men that it&apos;s OK to have emotions, show affection, to cry, to do everything that makes us people. I thought of this because, after yet another mass shooting, the debate around the idea of "toxic masculinity" has sprung up with force. The question remains: How do we address the fact that so many young boys grow into violent, angry men? I think showing boys this show is one small way to help address this problem. Let them see that it&apos;s OK to be vulnerable, affectionate, and loving with other men. Show them that their fears and self-doubt are something to be expressed and addressed openly—not things to be repressed into malignant balls of internal anguish. It&apos;s a small step, but seeing the men on this show open-up with glee, I think, speaks to the need that this show addresses, that many of us need to re-think what it means to be a man. Scarlet A: The Ethics, Law, & Politics of Ordinary Abortion: At the 2016 Democratic National Convention, Ilyse Hogue, president of the pro-choice group NARAL Pro-Choice America, disclosed the story of her abortion to an audience of over 50,000. "I wanted a family, but it was the wrong time," she said. "I made the decision that was best for me." Many praised Hogue for making history by becoming the first speaker to share her abortion story on a convention stage, and for shattering a "stigmatized glass ceiling" that keeps women from talking about their abortions. While more Americans than ever before support legalized abortions (59 percent) and approximately one in five U.S. pregnancies end in abortion, studies have found that two out of three women who have abortions anticipate stigma if others were to learn about it. In one national survey, 58 percent of women said they felt they needed to keep their abortion secret even from friends and family. A new book by bioethicist and lawyer Katie Watson asks: Why do women still feel the need to stay silent on abortion? Dissecting the structural sources of stigma surrounding "ordinary abortions"—abortions not brought about by a medical crisis or sexual assault—Watson criticizes the state of public political discourse about women&apos;s reproductive rights. She argues that the tendency of both proponents and opponents of abortion to focus on extraordinary cases is counterproductive to women&apos;s reproductive freedom. By turning her focus to ordinary abortions, Watson aims to provide a more true-to-life picture of contemporary abortions, from the perspective of women who get them and the doctors who perform them. Disassembling the disparity between the reality of 21st-century abortions and the conversation that surrounds them, Watson hopes to invite more productive debates on women&apos;s reproductive rights. A look at where our stories and staff surface in the national conversation. Max Genecov&apos;s profile of Desert Oracle founder Ken Layne appeared in the Editor&apos;s Picks section of Longreads and in the New York Times&apos; "California Today" newsletter. Pacific Standard&apos;s founding publisher, Sara Miller McCune, will receive the Lifetime Achievement Award as part of the London Book Fair&apos;s and the Publishers Association&apos;s International Excellence Awards. The staff over at Live Science listed Pacific Standard as one of the science websites they read every day. Pacific Standard was named a Print Medal Finalist by the Society of Publication Designers.